I was recently given a tenderloin(yes my family gives out raw meat as gifts), and I thought it’d be the perfect time to bust out the immersion circulator, seeing as to how it has been neglected during the last few weeks. 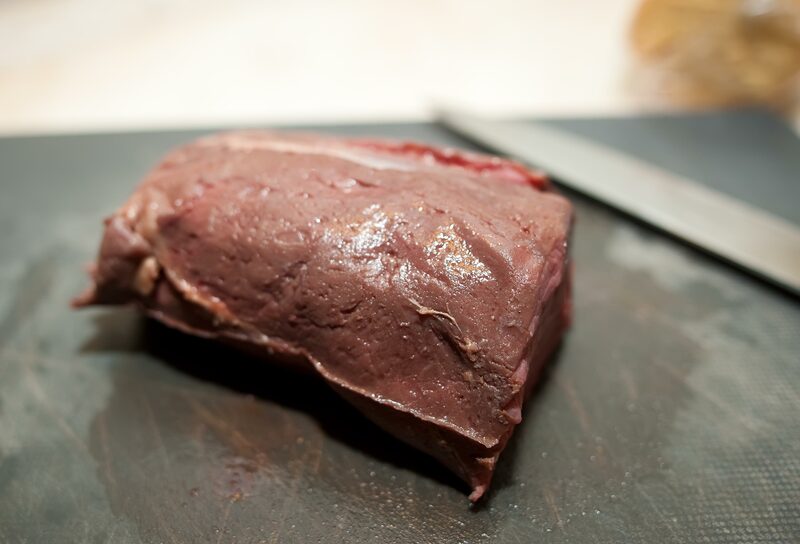 The grass fed beef tenderloin was seasoned using a beef stock cube, made into a paste with olive oil, and rubbed all over the loin(if it’s good enough for Marco Pierre White, it’s good enough for me). 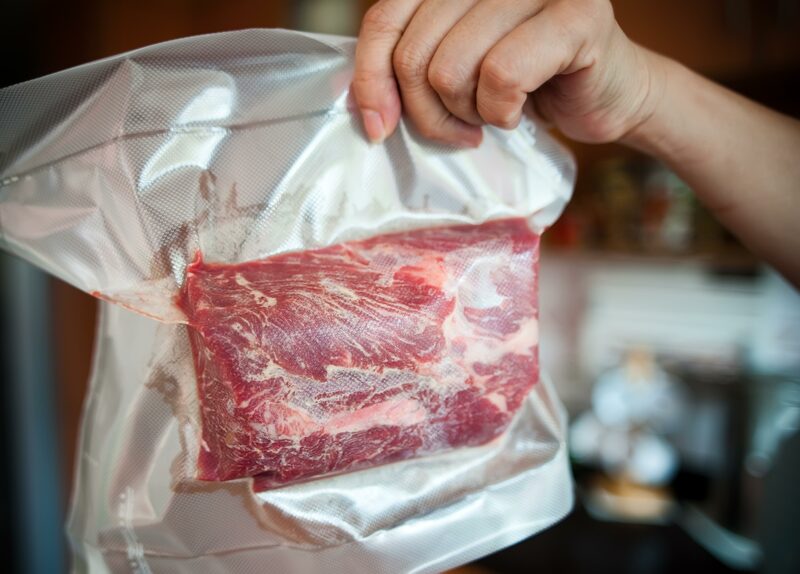 Then vacuum sealed, and allowed to rest overnight. It was then placed into a water batch at 55.5C for 2h and 40 mins, which is 0.5C above medium rare. After removing from the sous vide bag, the beef was thoroughly dried, and then lightly brushed with English mustard, before dusting with a very thin coating of all purpose flour. Seared on high heat for about 3-4 minutes, then allowed to rest for a good 15 minutes. Pros: the meat was seasoned very very nicely, and more importantly, it had really penetrated through to the center of the meat, and I like the heat and kick of of mustard to balance out the savory-ness as well. The beef was beautifully cooked medium rare, edge to edge. 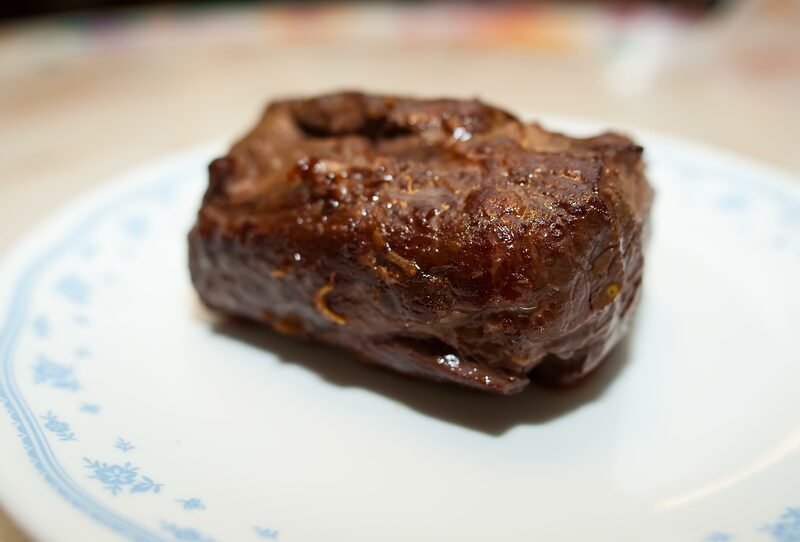 It should also be noted that the beef held up very well, compared to the previous time when I cooked it at 57C, it retained more chewiness that I love in steaks, it was a little more moist as well. 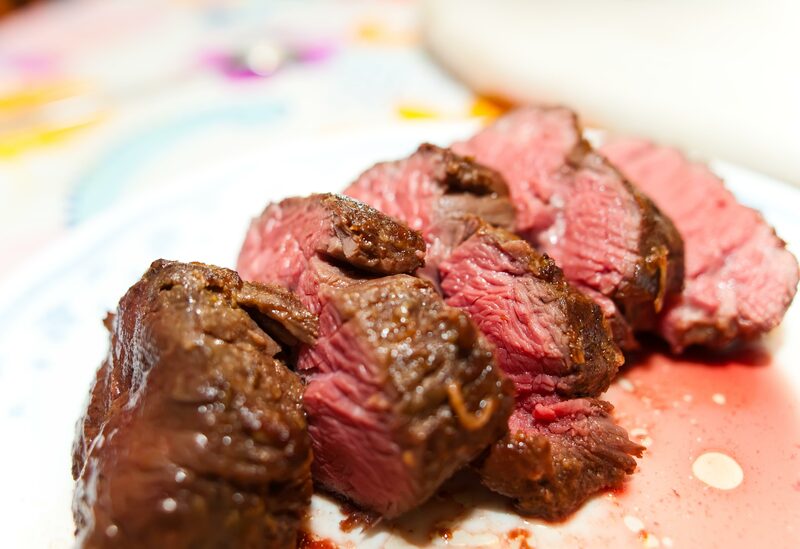 Cons: the sinew within the tenderloin didn’t really break down during the cooking process and those bits were pretty chewy and inedible. I dont remember this being a problem the last time i cooked it at 57C. 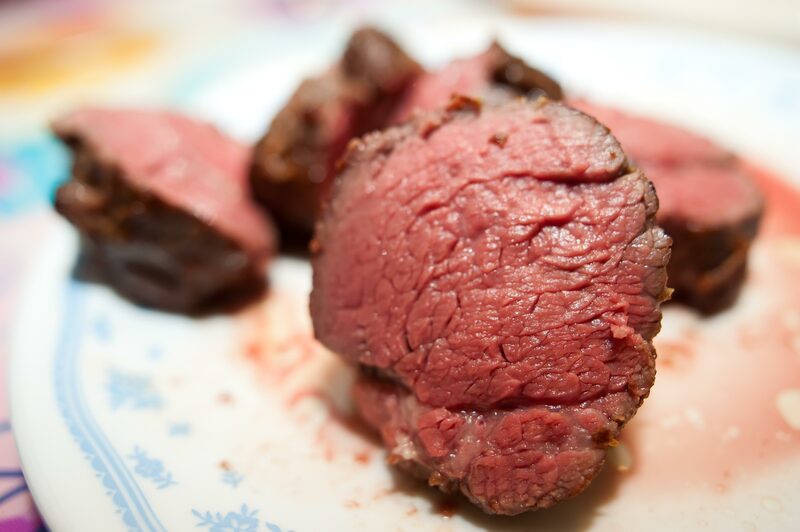 Other than that, the tenderloin was pretty much how I remembered, absolutely perfect. On a side note, I personally prefer the 55.5C tenderloin.